For my final book and the wildcard entry to close out the 2010 global reading challenge I chose a historical novel set in England (with snippets from the US) during the late 1700’s. This particular past is definitely a foreign country to me as it highlighted several real events I was ignorant about. 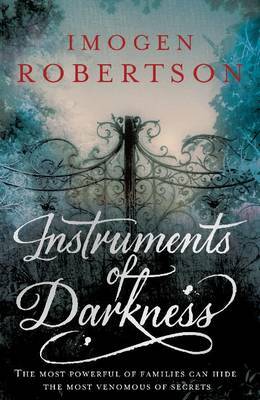 In semi-rural England in 1780 Mrs Harriet Westerman discovers a body and persuades her reclusive neighbour, anatomist Gabriel Crowther, to become involved in an investigation into the man’s death and his possible relationship to nearby Thornleigh Hall, seat of the Earl of Sussex. At almost the same time a London shopkeeper, Alexander Adams, is killed on the first night of the Gordon Riots and it soon becomes clear that his orphaned children are in danger themselves. The book tackles the question of what unites these two killings in an old-fashioned battle of good versus evil. This is an absolutely absorbing read with all the best features of good historical fiction. Domestic events such as the happenings at Thornleigh Hall and surrounds are depicted against the backdrop of real events in a very engaging way. At several points in the novel for example there are flashbacks to a period several years earlier when the second Thornleigh son, Hugh, was a captain in His Majesty’s Army during the American Revolutionary War. Meanwhile the parts of the story which take place in London occur during the Gordon Riots and while these events do not form a major part of the story using them as a backdrop adds interest and authenticity to the fictional events. Though complex the plot never gets muddled or confused and I was impressed by the way this debut author maintained interest in all the threads and wrapped them up cleverly. Though the plot is excellent it is the characters that are the real stars of the novel, offering something for everyone’s taste. Harriet Westerman is practical and intelligent and just the sort of woman you’d want nearby in times of crisis. She runs the family estate while her husband is at sea with the Navy and looks after her children and younger sister as well as getting caught up in local events. Importantly though she doesn’t step over the boundary into incredibility. Gabriel Crowther is also believable and watching him become embroiled in local events against his better judgement, due to his own family’s dark secret, is a treat. There are too many smaller characters to do justice to here but they really do keep the reader’s interest and attention. Ultimately this is a book about family. For some it is about doing whatever is necessary to protect the and for those with more sinister intent it’s about trying to smash family bonds and take advantage of people’s perceived weaknesses where their families are concerned. The combination of a gripping plot, engaging characters and fascinating historical detail is highly recommended. 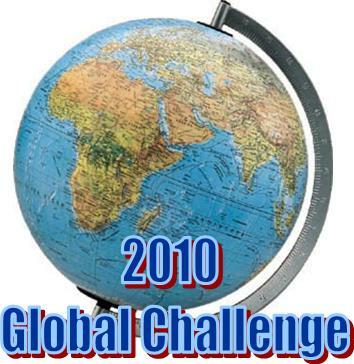 This entry was posted in book review, England, Global Reading Challenge 2010, Imogen Robertson. Bookmark the permalink. Well done Bernadette and an excellent review as well. Bernadette – An excellent review indeed! What a fascinating-sounding plot. And it’s got a backdrop I don’t know enough about – the Gordon Riots. I really do enjoy an historical mystery where I can learn something as well as get caught up in the characters and story. Thanks for sharing this one :-). I must think about this one for the wildcard category next year. Sounds like an interesting book, certainly a good review. Generally I don’t like historical novels, but this one sounds promising. I just came across you blog and liked it a lot. I’m adding you to my reader. (This book sounds good to me as well).